HomeBlogbuceo con tiburon en mexico; buceo en playa...WHY ARE THE SHARKS SO IMPORTANT? As you already know, many people still fear sharks thanks to some famous movies that contributed to their bad reputation. The truth is that sharks should be more afraid of humans than their humans. Each year, more than 100 million sharks are killed by their fins in many countries. Shark fishing is oriented to the terrible practice of cutting all shark fins while the shark is still alive, and then being discarded again in the ocean. Unable to swim, they are condemned to die slowly by suffocation or be devoured by other predators. 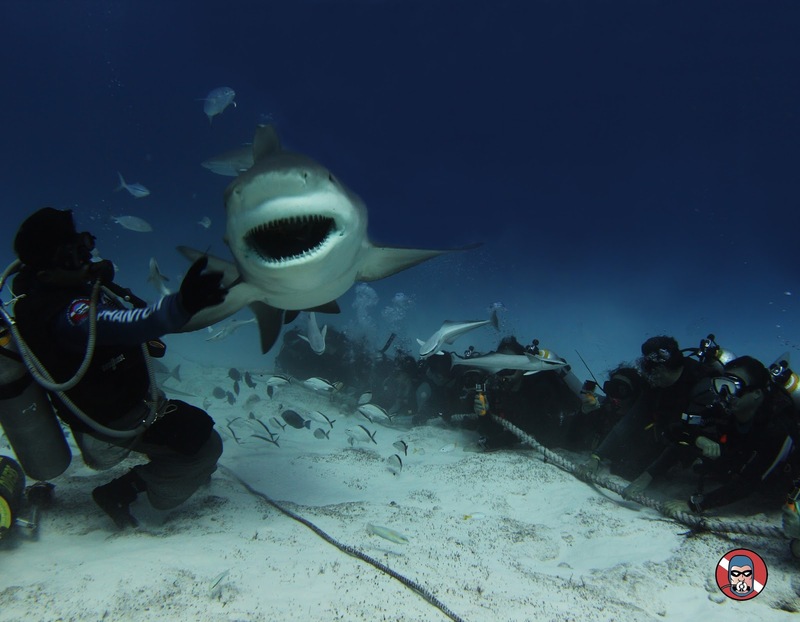 For these reasons, nowadays it is increasingly difficult to see a shark when diving. This is a cruel and unnecessary practice that occurs every day around the world and is a terrible threat to the balance of the ocean and the entire marine ecosystem, which is composed of very intricate food webs. Sharks occupy first place in these networks and as main predators help eliminate weak or sick fish, as well as to maintain balance with competitors. This helps to guarantee the diversity of the species. They are considered as the “key” species, which means that their elimination will cause the collapse of the entire structure. In Playa del Carmen, Phantom Divers collaborates with the association Saving our Sharks (SOS), with the main objective of knowing and protecting our sharks, in order to keep our ocean as healthy as possible and create awareness for the conservation of these creatures. The central focus of this association are the “lords” of the ocean that visit our waters each year attracting tourists and divers from around the world to the Mayan Riviera: the legendary Toro Sharks. For each person who participates in the diving with these magnificent creatures, an orange bracelet is presented to them representing their support and donation to SOS. So we would like to thank all the people who joined us this incredible season and we are waiting for you back in November.